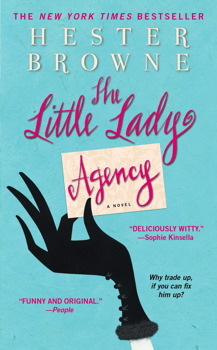 The Little Lady Agency by Hester Browne has been on my to read list for a long time, since I went through a phrase of finding only books set in London about marvellous led women and I finally got a chance to read it. Although it’s classified as ‘chick-lit’ it’s a lot deeper than that once you get into it. Sure it’s fun and easy to read but I also genuinely cared about the characters by the end. The characters are so real and Melissa is so complex and refreshingly normal that there’s something so honest about this book. You can picture yourself being friends with her and just hanging around the couch watching Made in Chelsea eating ice cream right out of the container. Melissa isn’t some typical chick-lit leading lady, she’s very unique and in touch with the people around her, simply doing the best she can to be a good person and help as many people as possible. The word ‘no’ simply doesn’t exist when it comes to helping people. Hence, the Little Lady Agency, a life organising business for bachelors. The whole time I was reading about her business I was thinking how good I would be at that, until it came to the end and she was suddenly shopping for dozens of people’s Christmas presents. I think the stress would get to me, but she handled it and even took on more responsibilities. I thought the end was a bit rushed and I was disappointed it ended so suddenly, so it’s good that there’s two more books in the series! 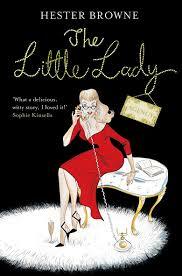 Overall, I thought the plot and concept behind Little Lady Agency was well achieved and I really enjoying the balancing of Melissa’s story and romance. It didn’t focus or over emphasise her love interests but rather on her reaction and development of the feelings. This story is 100% Melissa’s story and her development, not about some boy.